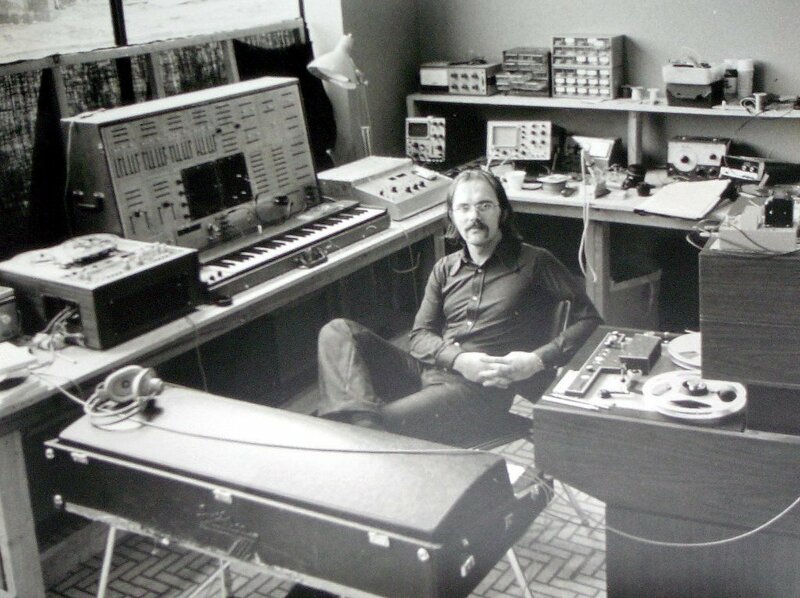 Exclusive Interview with RALPH DYCK, Godfather of the MC-8! 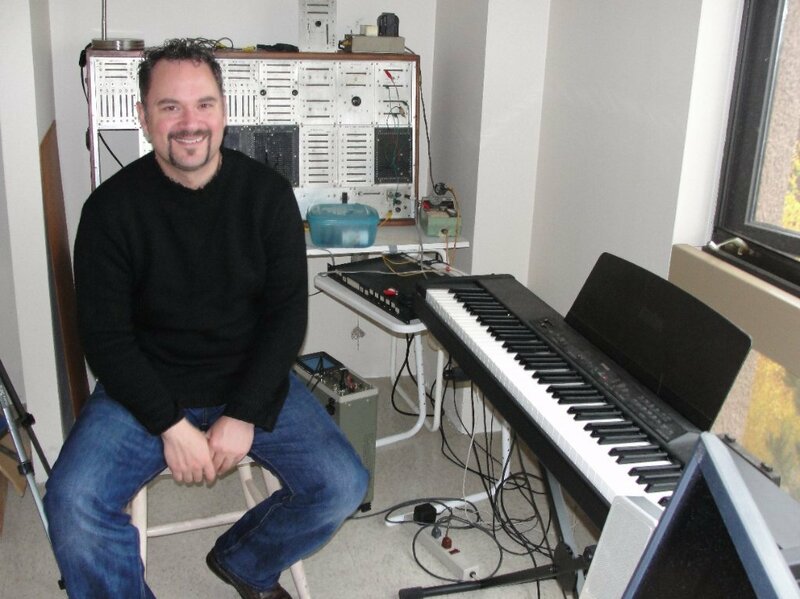 Recently I’ve been in touch with Ralph Dyck, the man responsible for designing and building a home-brew sequencer that eventually served as the basis for the design of the Roland MC-8. I’ll be posting lots of photos, music and technical documents that Ralph has been very generously emailing me. Posted so far are the user manual and the schematics for V1 and V2 of Ralph’s Digital Sequencer. This is all very important stuff in the history of programmable sequencers. 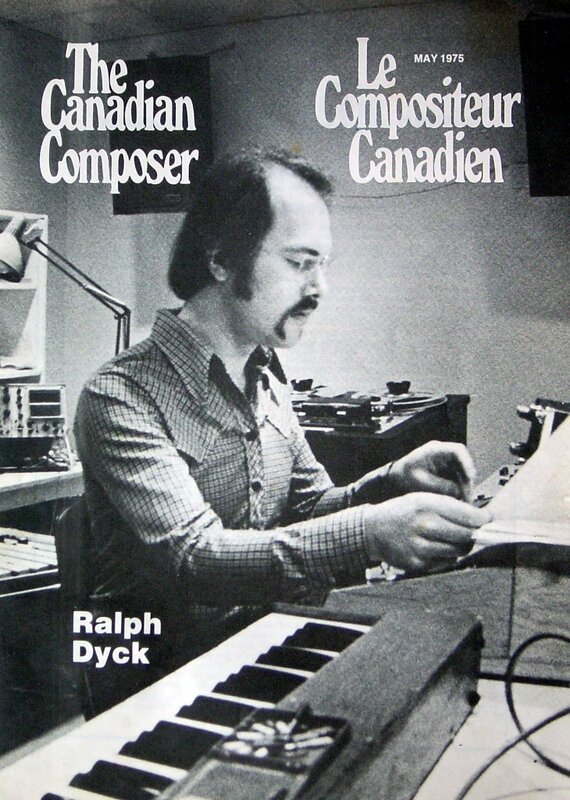 The following is a brief interview with Ralph about his groundbreaking work.All photos are provided by Ralph Dyck, all music is copyright Ralph Dyck and registered by SOCAN Canada. What’s your background in music, and how did you originally get involved in electronic music? As a kid I played accordion then piano then vibraphone. I took some Royal Conservatory of Toronto Theory and History then a number of private lessons by professional musicians mostly in arranging. I played Jazz clubs on the weekend then later played night clubs and wrote some Jazz works for the CBC (Canadian Broadcasting Corporation). I designed a simple 16 stage sequencer with simple oscillators, it was weird but fun, we called it “The Monster” (what else?). A friend was studying at UBC (University of British Columbia) and wasn’t interested in the Electronic Music lab classes so he asked me if I wanted to use his time there knowing that I was interested in electronics. 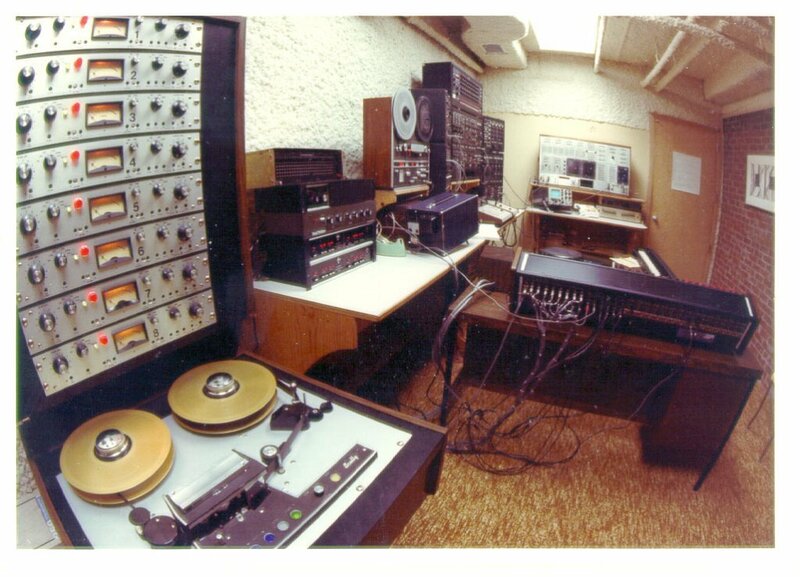 So I began a two year exploration every day using the Electronic Music lab, they had Moog, Buchla and some nice Ampex 1/2 tracks. I started to design and build modules that we could use in the studio, voltage processors and things like that. You developed your sequencer before the “home-brew” microcomputer scene really started happening in the mid-1970s. What sort of background did you have in computers at that time, and how did you go about designing your circuits and the operating system itself? I knew a fair bit about analog electronics and how synthesizers worked, I had built my own which turned out very successfully. A friend told me about digital memories and D/A converters and that was the spark for me getting into sequencers. I knew absolutely nothing about computers, I was an untrained, fly by the seat of the pants amateur. 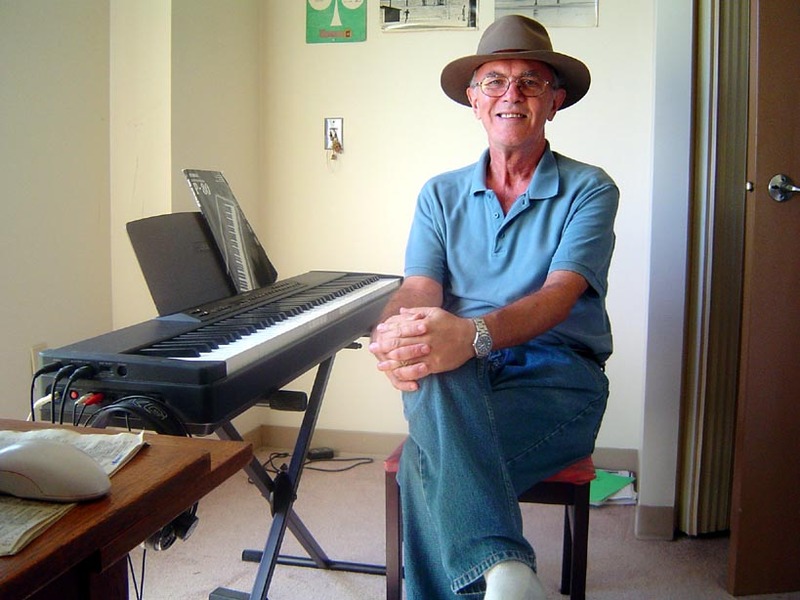 However, I knew how to pick my friends and I had a couple that helped me immensely, Chris Huntley, an engineer was the major mentor in my life then, also Theo Goldberg, a composer, helped me get a $4000 Canada Council Grant for the Arts. For about a year in 1972 I planned how to build my first sequencer, function by function using TTL logic and Shift Registers for memory. In the meantime I was touring with the Paul Horn band, playing a lot of gigs with them. I had most of my good ideas at 5AM or in my car. I decided to enter data via a calculator keyboard so I had to learn how to do that, it’s not trivial if you’ve never done it and have no training. Then it was a matter of organizing the memory, 6 bits for pitch, > 5 octaves, 6 bits for time, and 6 bits for envelope gate control and 6 bits for dynamics and voice switching, also, all of the clock control and finally a means of synchronizing tracks on tape, first I used pulse recording but that would feed through to other tracks, it sounded like a buzz saw, then I read about these FSK modem chips with phase locked loops and decided to use them… MUCH better! The evolution of recording with the sequencer was a gradual affair, my first gig was a TV News theme for BCTV while I was playing on a television series with Paul Horn in early 1973. I had a synthesizer so they thought that I must be able to do it, after all, it was electronic! The only part that the sequencer played was the pink noise through filter drums/percussion and maybe the intro, I’m not sure. The rest was played by hand because I had not implemented synchronization yet! That came within a few months because of this experience. I recorded this in a hallway where they wheeled out the big tape recorder! Were there any other microprocessor based sequencer applications that you were aware of at the time which your design was based on or inspired by? If not, can you describe how you came up with the basic operating system? I had no knowledge of any microprocessor system at all, I built up my sequencer a function at a time as they became necessary. Just trial and error. Eventually I had enough breadboarded modules to put them in a ‘proper’ housing, by then I had most of the building blocks of my system. I had a modular synth that I built so testing was easy and I had tons of drive. I had a vision as to how it should work and built modules until it did! It was all based on logical needs, necessity, you know? The master plan was all in my head, if you saw the schematics you would shake your head, I’ll enclose a couple of them. I only became organized doing my second sequencer. Did you design the sequencer primarily based on your own musical needs at the time, or were you thinking of a more universal musical application from the start? 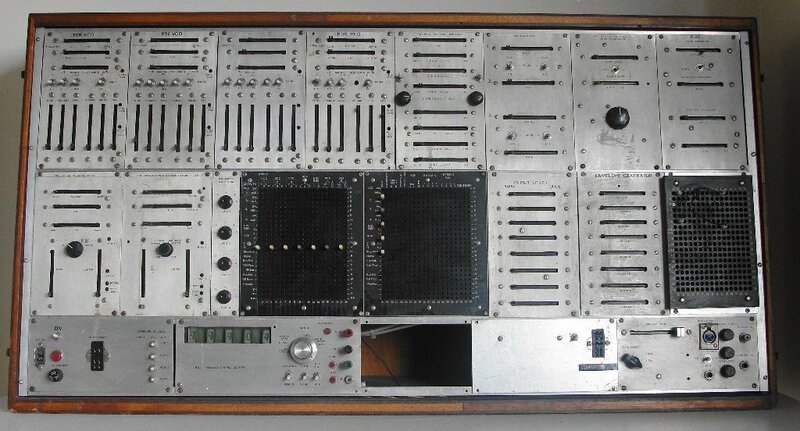 The sequencer was based on my needs and Theo Goldberg’s experiments with unusual time signatures, like 13/8 etc. I wanted to make an orchestra. How did your design come to the attention of Roland, and how was the design of your sequencer altered to become the MC-8? I built my second sequencer in 1975, it was CMOS based and slicker. 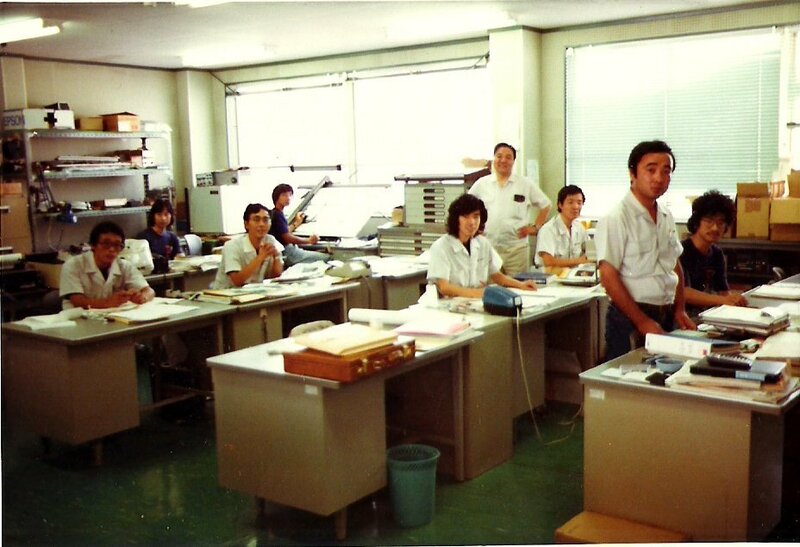 I showed it to Gene Trademan who was a Roland dealer, he invited Mr. Kakehashi, President of Roland to come to my studio in early 1976. I showed the sequencer playing to tracks it had already recorded and he said that it was Perfect! 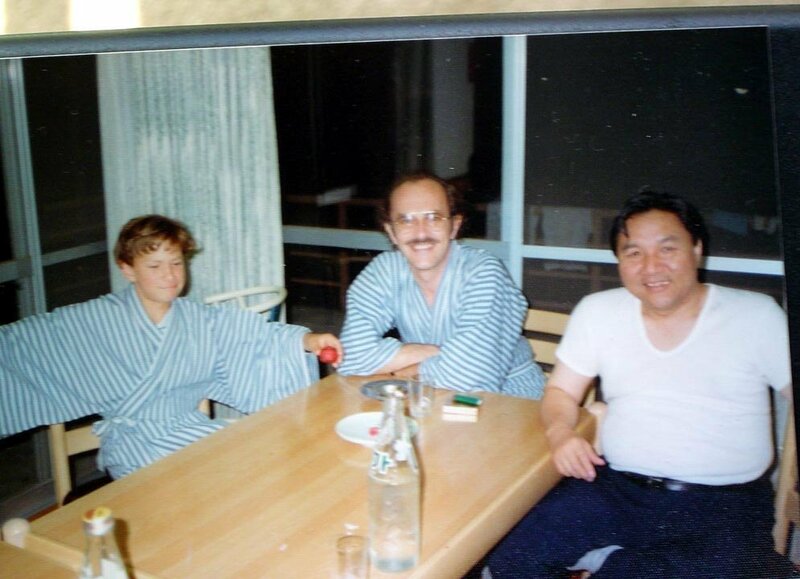 We made a deal and he hired the best guy for the job, Yukio Tamada, to design and build a microprocessor based system. I knew about the 8080a, I had an Altair, but I had no idea of how to use one for a sequencer except very simple programs I would toggle into my Altair. 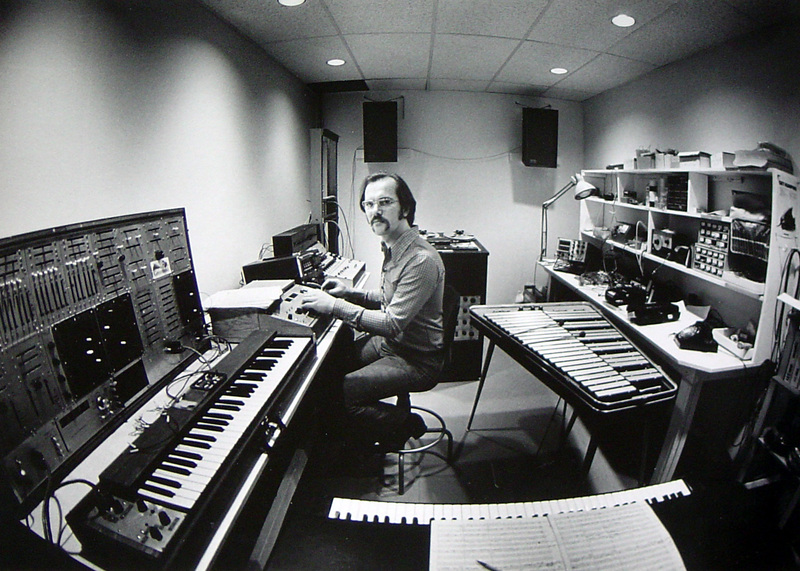 In early 1977 Roland wrote me and said that the new sequencer would have 8 separate channels! Wow! I went to Japan and helped in the musical debugging and wrote and programmed some demo pieces, like Odd Rhythms. The MC-8 was based on my method but was much, much more powerful. They had proper engineers to do this not just piano players. Were there any compromises made in the Roland design where you felt your original sequencer was superior? There was nothing in the design of the MC-8 that was lacking except very, very small timing issues due to the multiplexed outputs. My old sequencer was just a single channel so it was basically perfect, timing wise. The timing issue is of no concern. Do you have any interesting anecdotes to share about working on musical productions with the MC-8? I had a theme to do for TV called ‘The Inventors’, I had one whole day booked into Studio A of Little Mountain Sound in Vancouver, I had no plans and from scratch 14 hours later I had a theme of which I’m quite proud. The show was about inventors and they filmed me after all of this because I was inventing the theme. I was totally exhausted and quite nervous, I survived it all, more or less. What’s the most complex production you ever realized on the MC-8? I recorded some ‘Disco’ type tunes for my American publisher in 1978 and they involved many hours in the studio, most of it after midnight. I used real drums and percussion because I could finally afford them. One of the tunes is called ‘Discovery’, the original version was used as the radio theme for the CBC coverage of the Montreal Olympics in 1976. Do you have any interesting anecdotes about your interactions with famous musicians who used the MC-8? I worked with Toto on several albums and tours, David Paich and Steve Porcaro were really into using the MC-8 with their Polyfusion synth. I was at David Foster‘s house in LA, we’re both Canadians, we’ve known each other since the ’60s and David asked me if I knew of Toto, I had just heard the name, I didn’t know their music at the tiime. Foster called Paich and asked him if he knew about the MC-8 and Paich said “Buddy! We own two of them!” We got together and became great friends. In the late 1970s, musicians certainly had virtually no background in computers. 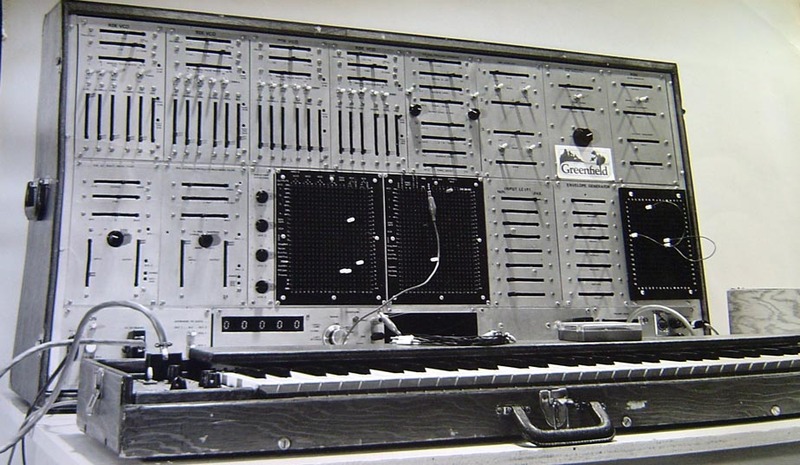 What sort of reaction did they have to the “music by numbers” method of programming the MC-8? They didn’t like it much except Tomita and Steve Porcaro and Suzanne Ciani. Can you describe any modifications you ever designed for the production model MC-8? I had nothing to do with the hardware on the MC-8, only it’s core operation. Clearly the MC-8 was capable of realizing very complex and subtle musical arrangements, yet today it’s primarily known for churning out robotic synth-pop music (ie Giorgio Moroder, The Human League, etc). How did you feel about the way the MC-8 was being used by producers at the time? Well, it was just another tool in the commercial music biz. I did that as well but I also did some very serious music tracks. Do you have any favorite recordings produced using the MC-8? Toto only used the MC-8 in small sections, not whole tracks. Steve Porcaro did a lot of musically interesting parts with it. When was the last time you worked with an MC-8, and what sort of production was it? I think that the last time I used an MC-8 was with Toto, maybe for their album ‘Turn Back‘. Other than that I can’t remember. 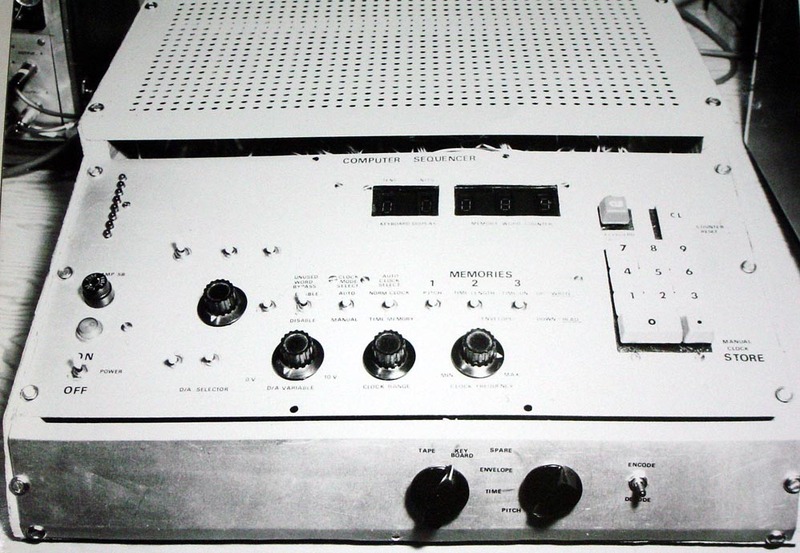 What became of all your original hardware, including your prototype sequencer and any production model MC-8’s? All that I have left of my original sequencer is the front panel and some photos. I think I sold the MC-8. Can you describe any other hardware you designed? The SBX-80 Syncbox was based on my two prototypes that I had designed with Peter Dunik, we had a world wide patent for it. I also wrote the software and designed the electronics for ‘The Pocket Drummer’ a very small drum machine. 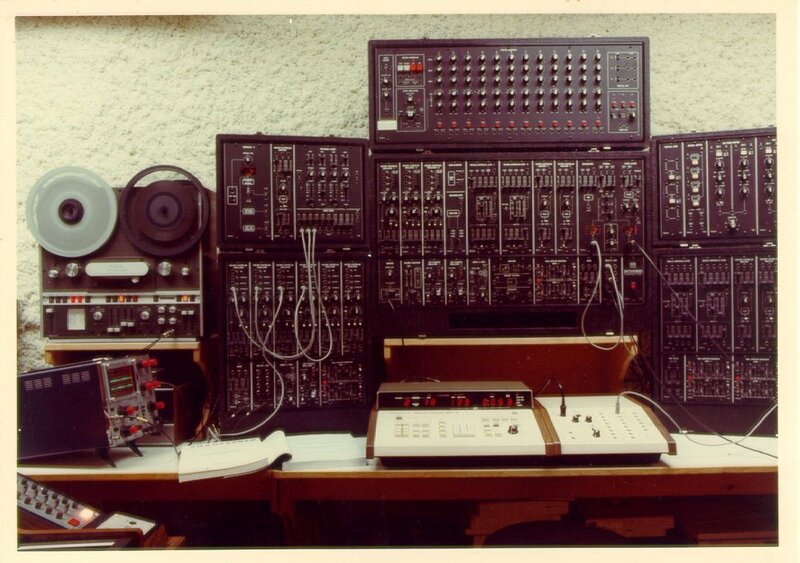 Can you tell me something about the modular synthesizer you built and used with your sequencer? About my synth, it has 4 VCOs, 2 VCFs, 4 VCAs, 4 ADSRs, a Ring Modulator, a White/Pink Noise Generator, a Sample and Hold, a Voltage Processor and it used to have a very good frequency counter until I dismantled it! All of the important circuits were designed by Chris Huntley, an engineer friend of mine. He would draw a schematic for the basic function that I would need and I would have to prototype it and expand it to make it usable. I have NO schematics at all. A real shame! I have a PC layout for the VCO but that’s all. If you really want to know all of the nuts and bolts of it, in 1970 I was working at a night club called Isy’s Supper Club, we had a quintet which played for shows and things. Times became difficult and Isy, rather than closing, decided to put in strippers. the band was cut to 3 (sax, piano, drums) but the Musicians Union (AFM) stuff stayed the same. (I’m drawing a small pension from them, for which I am very grateful). 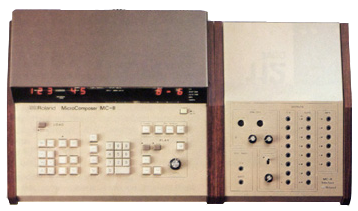 The MC-8 was succeeded by the MC-4, and then a long line of sequencers in Roland’s “Micro-Composer” series. Do you have any thoughts about the development of sequencer technology as it relate to your initial design contributions? Well, in electronics, everything advances, the only thing that the subsequent gear had in common with my sequencer was the method of use, the basic idea of the system. Are you still making music today, and if so, what sort of equipment are you using? I’m making music of a sort, my son Jeff van Dyck is doing the music now in the family and he helps me whenever he’s in town. He gave me some great gear to make my old synth work again, I have an original prototype MIDI to CV/Gate converter, 4 channels, made by a guy in Australia, it works perfectly. Jeff also gave me an E-MU 0404 USB interface which also works great. I also have a Yamaha P-80 piano and a Roland XP-10 synth. I’m trying to get my old synth working reliably but the connections are a real problem, it’s almost 40 years old! Wow! What great stories and what an adventurer you are. Bravo! I am still trying to solve bebop on the Bass Trombone. The design of the trombone has not changed substantially since the 15th century so I guess you can say I am VERY old fashioned. Amazing technology!!!!!!!!!!!!! My name is Warren Weldon. today I was looking at old pictures. In one of those pictures was Ralph Dyck. He played Piano in our group called Roy Miki and the Downbeats. I was just wondering if this is the same man. If so my email address is “wwweldon@yahoo.ca” Love to hear from him. We have something in common we both worked for CBC Television and played in a band together. Ralph wrote a few Sax solos for me in those old days, It was the 60’s. I worked at CBC as a cameraman. I was super lucky to have cut my analogue teeth on a R.D.E. modular synth at Carson Graham high school in North Vancouver. For a 16-year old in grade 11 to have access to that – well it changed my whole life, basically. Thank you so much! Other than Rob Carr I had no knowledge of the students. That maybe I made a difference is beyond me, I never thought of that! I have the unit now, working 90%, I’ve been working on the UBC synth I made at the same time and it’s done. nice story thanks for sharing. What happened to half of the audio files? Those issues are fixed now, a server problem.